Nintendo’s Picross series has been around for almost as long as the company has been making video games and it’s largely remained the same over all that time. What’s remarkable is how long this technique has worked, as the core gameplay is so simple - yet so addictive - that it doesn’t really need too much iteration. With Picross S2, Jupiter continues the trend of sticking to tradition while making a few changes here or there, but there otherwise isn’t much here that you haven’t already seen before in previous Picross games. Gameplay in Picross S2 is entirely about deduction, as you slowly whittle down a blank board into a recognizable pixel art image. Numbers listed on the top and side of the grid tell you how many squares need to be filled in for that row or column, though it's seldom possible to fill in all squares just by checking one set of numbers. You have to look at multiple rows and columns to find answers, filling in squares as you go and marking empty spots with an orange ‘X’. In addition to this, you can also mark squares with a diamond, which acts as a sort of ‘maybe’ option that is almost essential for the later and more challenging puzzles. The concept takes a little getting used to, but it makes sense once you’ve given it a fair shake, and the game includes several tutorials which do a great job of explaining both the basic and advanced aspects of play in an easily digestible manner. The game gets your feet wet with simple 5x5 puzzles that take mere seconds to complete, but eventually escalates you all the way to 20x15 monstrosities that can near an hour-long completion mark. Even so, some players may take longer than others to wrap their heads around the finer points of the puzzling, so the developers have included numerous assist options to ensure that players of all skill levels can see all the content on offer. At the outset of every puzzle, you’re given the option to use a hint roulette that will reveal all squares in one random row and one random column, which helps a lot in giving you a strong place to start from. If that isn’t enough, the numbers on the outside of the grid can be set to glow blue when a square in their row or column can be filled, the cursor can warn you of any mistakes or just fix them as you make them, and a one-time use scan can be utilized to show you every mistake you’ve made on the whole puzzle. These features can all be turned off or on individually, which is a neat way of providing an extremely versatile difficulty scale. New to S2 is a cool take on a fan-favorite mode from the 'e' series of games that’s now called “Clip Picross”, which mixes things up a bit to make for a fresher experience. Here, a massive puzzle is comprised of a series of smaller chunks, which range in size and difficulty, and you solve each chunk individually to solve the larger puzzle. One chunk may be 5x10 while another could be 15x10, and each chunk must be unlocked by completing special puzzles in the main mode that disable all assist options. 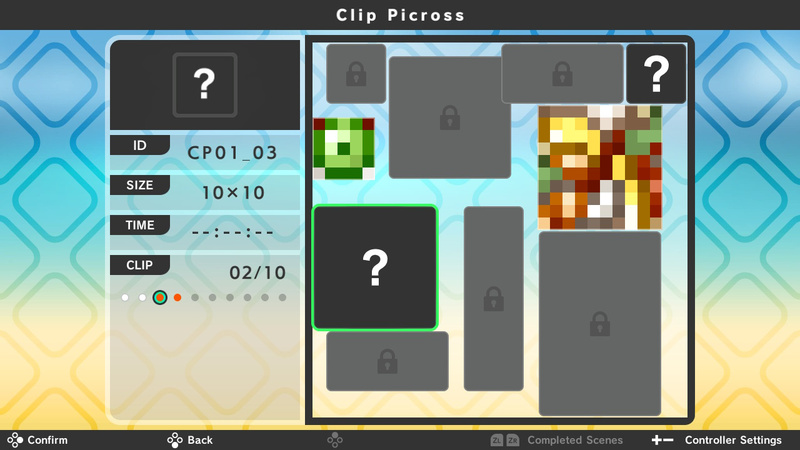 Not only do the Clip Picross represent some of the most detailed and complex puzzles in Picross, but the method by which you unlock new chunks for them introduces a welcome element of progression that encourages the player to push themselves. On top of this, there are 300 normal puzzles available to tackle, which could potentially take dozens of hours to complete in their entirety. 150 of these puzzles are just straight Picross affairs, while the other 150 are Mega Picross puzzles, which change the rules slightly by introducing hint numbers that can span two rows or columns at a time. 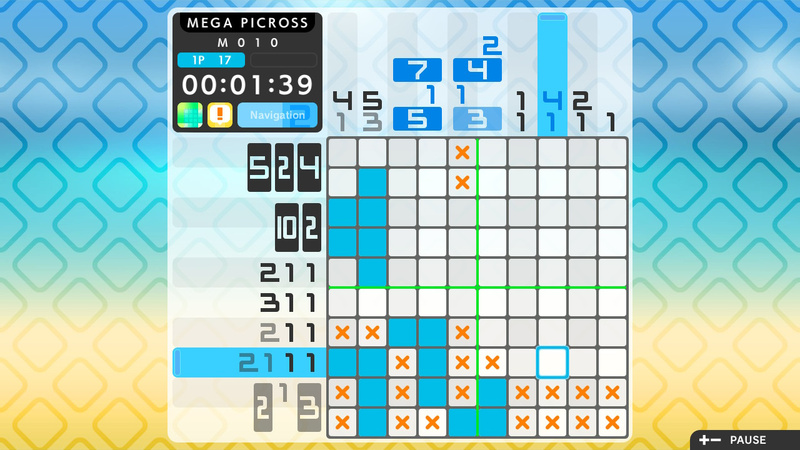 One small disappointment is that the Mega Picross puzzles are just remixed versions of the normal puzzles, which means that the hint numbers are all new, but the final images are the same. Still, completing all puzzles is no small feat, even more so if you want to try to complete them all with no assist options enabled. 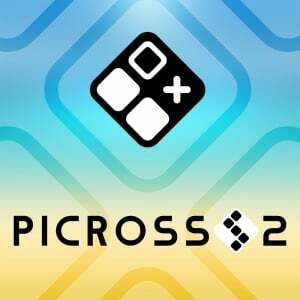 If you happen to have a friend nearby, Picross S2 brings back the popular multiplayer feature from its predecessor that allows co-op play. What’s fun about this mode is that the game records how many squares each player filled in, and even colors them differently on the board to give a visual indicator of who’s “winning”. It can get fiercely competitive to be sure, but it’s also just nice to have a second pair of eyes for the more challenging puzzles, and the ease of adding someone else in - there’s even split Joy-Con play supported - makes this a simple game to play on the fly. 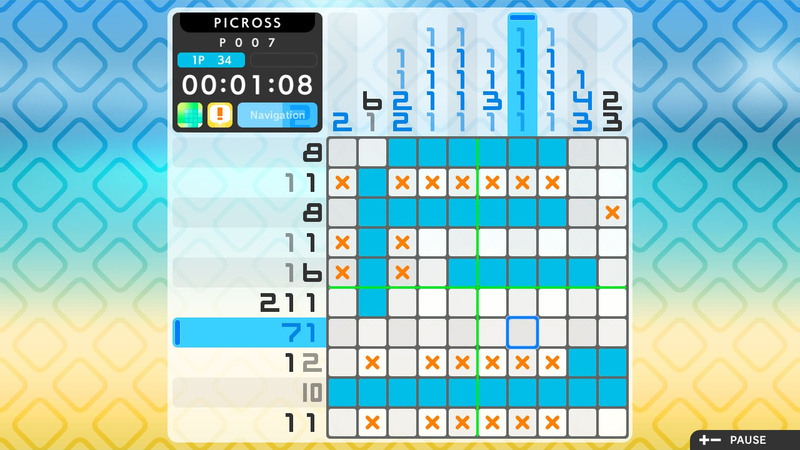 On the presentation side of things, Picross S2 sticks to a simple and minimalist style that works well for this kind of game, even if it’s unremarkable overall. The pixel art you see at the end of each puzzle is nicely detailed, though there are some rather goofy choices made for the content of some of the images; it’s bizarre to see a seemingly random assortment of pixels be dubbed “The Grand Canyon”. Cool, soothing colors make up the backgrounds, the font is chunky and easily readable, and the soundtrack employs a light, jazzy, elevator music style that’s unintrusive and doesn’t get in the way of thinking. It all makes for a very relaxing experience, although it admittedly isn’t too interesting or memorable. Even so, it looks good on either a TV or a portable screen (though this sort of game is best played in bursts when out and about); there’s not a whole lot to complain about here. Now, one point that bears mentioning is how little it feels that this release iterates on its predecessor. Aside from some new music and the Clip Picross feature, this is essentially just a level pack for Picross S, which is a bit of a double-edged sword. On one hand, it means that you don’t need to play the predecessor to enjoy this one just as much, but on the other, veterans won’t find a whole lot new here to entice them if they felt satisfied with the content of the previous game. In our opinion, this game offers better value for your money, but your mileage may vary. 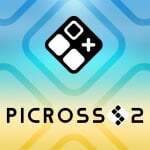 All told, Picross S2 is exactly what you would expect it to be: a safe sequel that offers more of the same while making few changes. 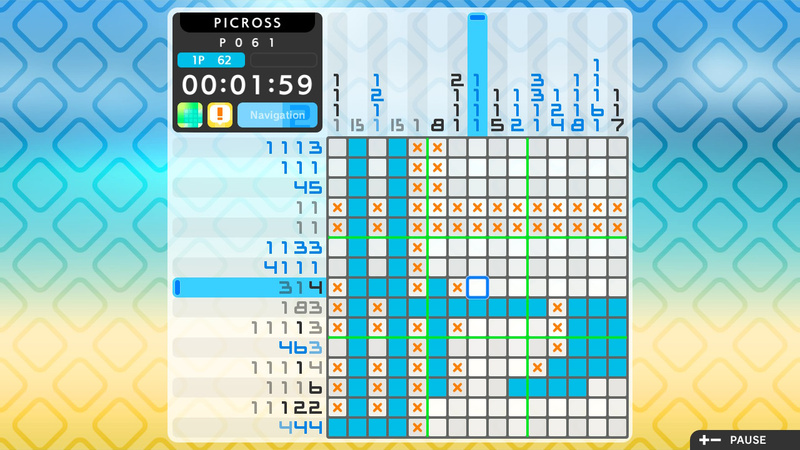 Clip Picross is a cool new addition that helps to make this one a little more content-rich, and the 300 new puzzles and returning multiplayer features help to round out the package. We’d recommend this game to any puzzle fans looking for something that’s easy to get into and will take a long time to beat, as there’s plenty of content to justify the price. Fans of the first game may be a little disappointed at the lack of ambitious new features but, overall, this feels like a slightly better version of its predecessor. 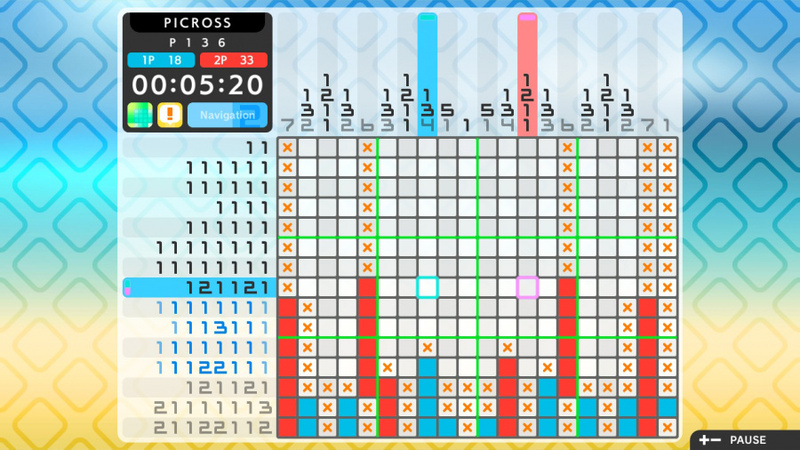 Has Clip Picross replaced Micross? I never come to picross for new features. Just give me new puzzles and we are good to go. Hopefully s3 doesn't take a whole year. Just a few hundred levels?! Why are these always so bloomin' small? Do they do that just so's you end up having to buy another one, later?! @HobbitGamer Because it takes over 50 hours to complete every single puzzle without any misses and the game is 9€, not 45€. @Jayenkai If this was 3D Picross, I'd agree with you as that one thrives on touchscreen controls. That being said, 2D Picross games have always been best with a d-pad and buttons ever since the 90's. I hate the idea of subscription-based gaming, but I think in cases like this, crosswords and other similar puzzles, that a subscription model might really work out for the best. Treat Picross like the daily crosswords of a newspaper. Release a daily puzzle, and maybe let people download all of the past 7 days so they can still catch up if they miss a few. Add in daily crosswords, word jumbles, wordsearch, sudoko.. Call it "The Daily Puzzle" or something..
Nintendo should TOTALLY do that..
.. Or maybe bundle THAT in with the upcoming Switch Online Subscription fee..
Is it possible to turn the timer off? I don't want to see the timer when I solve puzzles at my own pace. I wish they'd do something like in Picross 3D round 2 where they had two colours to fill in,. One being just a bock and the other a custom shape. It made for some really interesting puzzles and would translate well to 2D. @meppi64 Pic A Pix costs less and has touch, so I’m not sure I understand the point. Picross series on DS is touchscreen, too. @meppi64 I wish these games would last me over 50 hours. Picross S shows me I've played it for 15 hours or more. I completed it in a week or so. Sanrio characters Picross for 3DS took under two weeks with 19 hours of play time. And the game tells you to continue enjoying it after you finish the last puzzle when there's nothing more to do. Compare those to something like Pokémon Picross or Mario's Picross. I played Pokémon Picross for over 130 hours for free. The free-to-play aspects have some effect on my play time but it has more to do thanks to the challenges. I've played Mario's Picross for over 70 hours as well, thanks to its time trial mode which doubled my play time. It's such an easy addition that I don't see why they don't include it in newer games. Day 1 buy. Picross is fantastic. I just want more puzzles. That's all. @meppi64 I disagree with that myself. I can make do with button controls if I have to but the 3DS games with touch controls felt way more smooth and faster for me. I don't really get why they haven't included them in the Switch game, surely it's not that hard to give us the option. TimeSuck S2. These games always hook me really bad, haha. 40+ hours spent on the last one. Pretty much, yes. Just another name. Man, if you beat anything this game has to offer in one week, I’m slightly concerned about what your daily schedule looks like. It’s not a game that’s meant to be rushed, it’s meant to be played slowly, casually, a few puzzles a day. And that’s coming from a real Picross fan. Because Nintendo does not want to send the (marketing) message that you need to buy a stylus to fully enjoy the console. They barely even advertise the touch controls ability. As you advance in the game, squares tend to be too small to hit with normal sized fingers. It’s the dev choice to leave touch behind, as they prefer not implementing a half working feature, thus affecting the user experience as a result. So sue them. Others companies may include touch controls. Good for them. It’s a design choice. And in the end, if you don’t like it, don’t buy it. That's a rather dumb and lame response. A stylus is not necessary and is not even available for Switch - it's nothing to do with Nintendo marketing. Just use a finger, like every other touchscreen compatible game on the Switch. Squares can be enlarged easily by scaling - pretty much EVERY mobile phone version of grid based puzzle games can do this. "Good for them" seriously? Not adding in more control options makes the company good? How is that a good thing. You can add without taking anything away, you know. How is adding touch screen only a "half-working" feature. D'oh! And yeah, it's my choice to buy or not. And I won't. @gauthieryannick I usually stop playing other games when one comes out and play 1-2 hours a day. Each 15×15 puzzle takes me 3 minutes or so. I know it's not how most people play these kinds of games but that's what I like to do. I'm not a fan of the E and S series since they offer so little. I know they could do better and I would gladly pay a price that reflects the amount of work that went into the game. This comes from someone who has programmed couple of Picross clones and designed ~300 unique Picross puzzles. Call it lame and dumb all you want. You can’t please anybody, that’s a fact of life. *I meant "everybody", autocorrect woes. Having fun with this new Picross S. I don't care about touch controls on the Switch. Clip Picross is a nice little addition and I like how many of those puzzles are not squares. About half way done with this one (finished 3 of 5 of the new Clip Puzzles) and have no complaints as always. Picross is one of the few games ever that as long as they keep them coming I will buy them with nothing new or inventive needed. This should have been a free DLC. Piczle Lines gave us so many free DLC levels. As I've said before, the lack of touch controls is a curiosity but hardly a game-breaking flaw. My only criticism is that Jupiter always aims for first-time players, so a large portion of the puzzles can completed in seconds by experienced players. I understand that they want to hit the largest market possible, but I wish they would make something like a master's edition that is all large puzzles to give experienced players more value for their money.